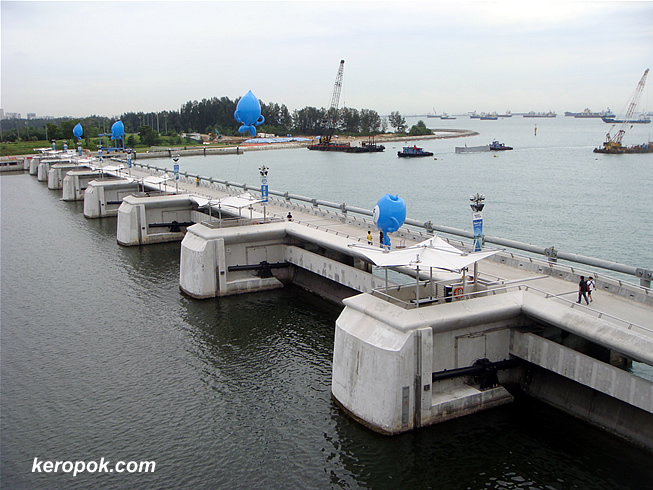 The Marina Barrage in Singapore. Have you wondered why it's called a barrage and not a dam? Is it because 'Barrage' sounds more sophisticated? Looks like a nice place. How do you get there? If you are talking about public transport, there's a shuttle bus service from Marina Bay MRT. Cool picture man! I like it! It is in my country!